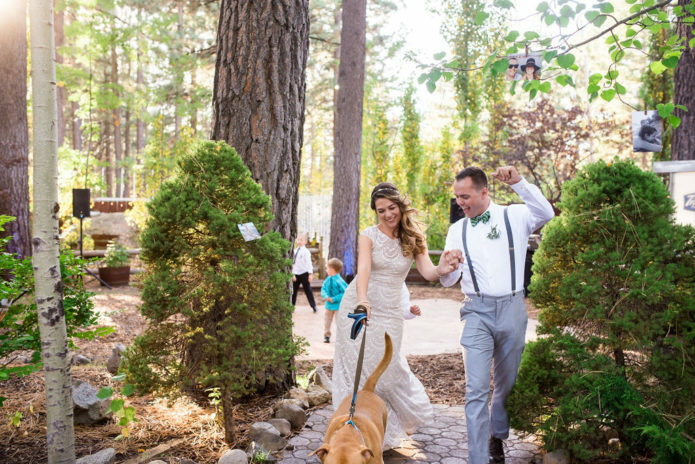 When Julia first hired me for her Edgewood Lake Tahoe Wedding, I wasn’t totally sure why. She is the opposite of most of my couples: super type A, extremely hands on, incredibly attentive to minute details of everything. I can only imagine what her wedding binder looked like. She would write me essays of emails and I’d be incredibly confused. As a super Type A person myself, it was baffling to get such lengthy discussions from someone because most people just (rightfully) assume I’m going to take care of business, because that’s what I do. “Julia demands excellence,” her sister had said during the toast. It is incredibly true, but not entirely true. For me, Julia inspires excellence through her demand. I loved being part of her wedding day because I wanted SO badly to do an exceptional job for her. Despite her lengthy emails and long questions, I was oddly convinced that she inherently trusted me completely, which is not would I would expect when you mix my personality with hers. But that’s exactly what happened: Julia motivated me to produce the best I could for her that day. Mark and Julia are now my friends. In fact, I’m writing this post from a coffee shop in Chicago, just down the street from where I am meeting her later tonight for wine. I’m really happy with the work I did for them. I’m thankful that not only did she hire me, but that she trusted me and emboldened me to produce work that I’m incredibly proud of. A second big thanks goes out to Nicky Lockman who was my right hand lady that day and contributed excellent work to their wedding gallery as well, some of which is included in these highlight photos. Mark and Julia, congratulations. Thanks for demanding excellence and allowing me to arise to the occasion. It was an honor to be part of your wedding day.